Don’t miss the Palmerbet Sports Team UFC tips & analysis as the Fight Night 142 heads to Adelaide where some Aussie fan favourites take on UFC greats! 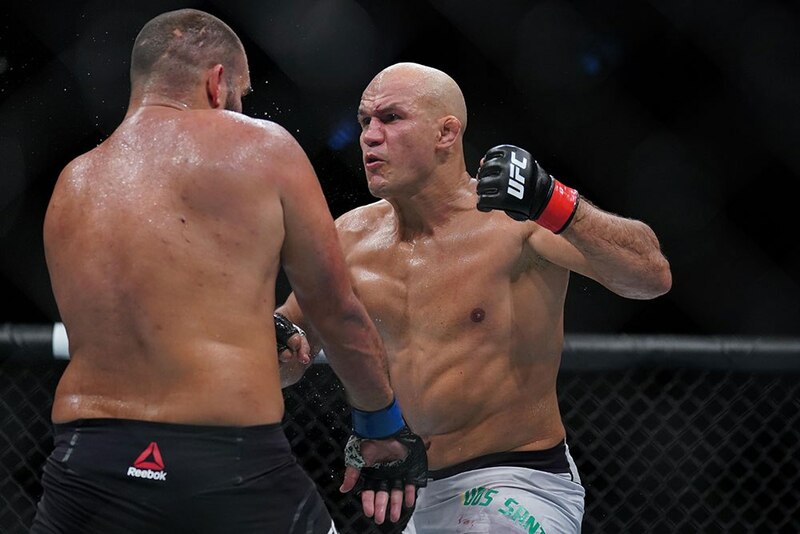 Analysis: Western Sydney local Tai ‘Bam Bam’ Tuivasa headlines his first UFC event against legendary former Heavyweight Champion Junior Dos Santos. Stylistically, it is a great match up and above all, the Adelaide fans will witness a worthy main event as two hard hitting heavyweights go head to head. Sporting an undefeated record, ‘Bam Bam’ has notched 7 KO’s from 8 fights therefore proving himself as a dangerous heavyweight contender. As a result, there is certainly value to be found for a Rd 1 Tuivasa KO @ $5.50. His movement and athleticism doesn’t seem to quite match up with a man of his frame however as his career has progressed he has continued to impress fight fans. As a result of his last fight, the UFC community looked at Tuivasa in a different light as he proved he could go the distance. Before his bout with Arlovski, Tuivasa had never fought past the first round. Dos Santos has beat them all. After beating names like Miocic, Valasquez, Hunt, Mir & Werdum, Dos Santos has cemented himself as one of the all time great. While he isn’t the same fighter he was a few years ago, he will no doubt be looking for trusty overhand right early against Tuivasa which is where Bam Bam’s athleticism and timing can come into play. Final thoughts: While he has the tools to win, expect Dos Santos’ age to catch up with him. It is hard to go past the Aussie brawler and we’re tipping him by way of Knockout. Final Thoughts:An intriguing co-main event matches up fellow Aussie Tyson Pedro against another UFC legend in Shogun Rua. Much like Dos Santos, Rua has defeated some of the very best with names like Liddell, Machida and Griffin all going down to the Brazillian. However impressive his career has been, Rua will still enter the octagon as the $4.60 outsider. As a result of age and his previous performance against Anthony Smith, punters are sticking with Tyson Pedro. On the other hand, Pedro has been incredibly impressive in his short yet successful UFC career finishing 100% of his wins by TKO/KO or submission. Although the two losses on his record came against arguably superior opposition, Pedro impressed against OSP before he was submitted in the first round. However this fight starts, Pedro should be able to leverage his superior grappling and with five from seven wins via submission, Pedro clearly possesses the superior ground game. Similarly to the main event, expect the Aussie to come away with the win! Final Thoughts: The Adelaide crowd will see Mark Hunt walk out for what is being tipped to be his final professional fight. In front of a home crowd, Hunt will be looking to finish with a bang. The “Super Samoan” has been a crowd favourite for years and produced some spectacular knockouts against some big names. Although he has been on the end of a few losses in recent times, stylistically Willis is the style of fighter that Hunt generally has success against. Justin Willis is a on a red hot seven fight winning streak although there are doubts whether he has the overall skills to match up with Hunt. Final Thoughts: This fight is shaping up to be one of the most evenly matched battles on the entire card. Both are similar stylistically and fight fans can settle in for plenty of stand up action while both men have skills on the ground. Many of Matthew’s victories have come through vicious ground and pound so there will be little room for error for Martin. Most importantly, Jake Matthew’s outperforms Martin in all aspects. He is the busier fighter, the more effective striker and in addition he has a more well rounded ground game. Therefore we’re taking Matthew to win. Final Thoughts: A good old fashioned striking vs. wrestling match up is scheduled early on in the main card with newcomers Suman Mokhtarian and Sodiq Yussuf going head to head. Yussuf should have all the tools to nullify Suman’s grappling and therefore we’re expecting him to come away with a victory. Final Thoughts: Both fighters are coming off victories although the step up for Crute is a considerable one. Craig has been here before with fights on cards including UFC 209 & Fight Night 127 although his performances were less than impressive. Fight Night 142 looks like it has been tailor made for the local fighters and this fight is no different. Although Craig has fought on higher profile cards, Crute is a 22 year old undefeated fighter looking to climb the ranks. As a result, we’re expecting him to keep the 0 in his loss column.